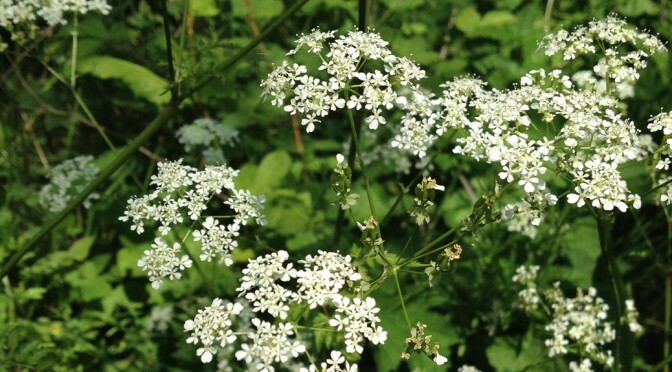 Do you want help identifying wild flowers and berries? 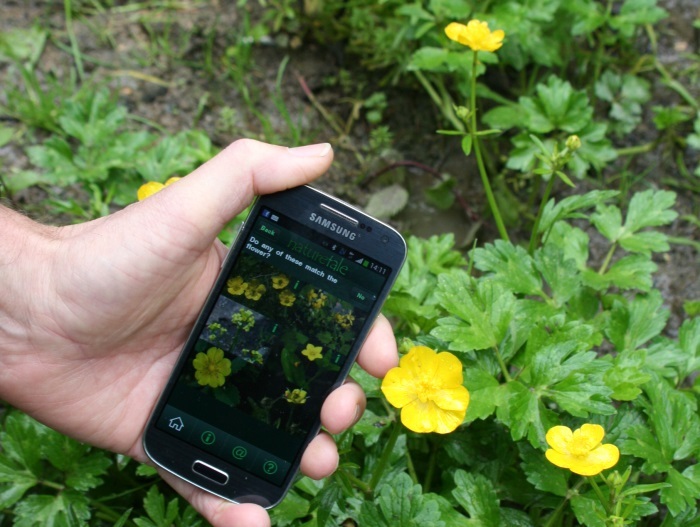 Friends Chairman Richard Jefferson has helped develop a new mobile phone app to help people enjoy plants more. Working with a friend he has produced the Naturetale App. 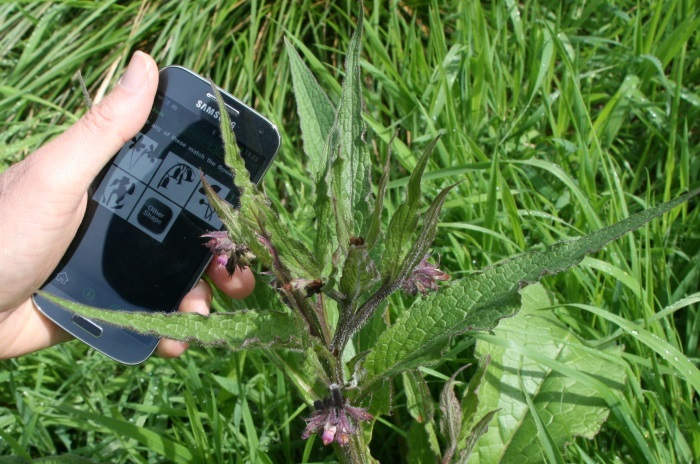 This enables people to identify the wild flowers and berries you are likely to encounter on a country walk. 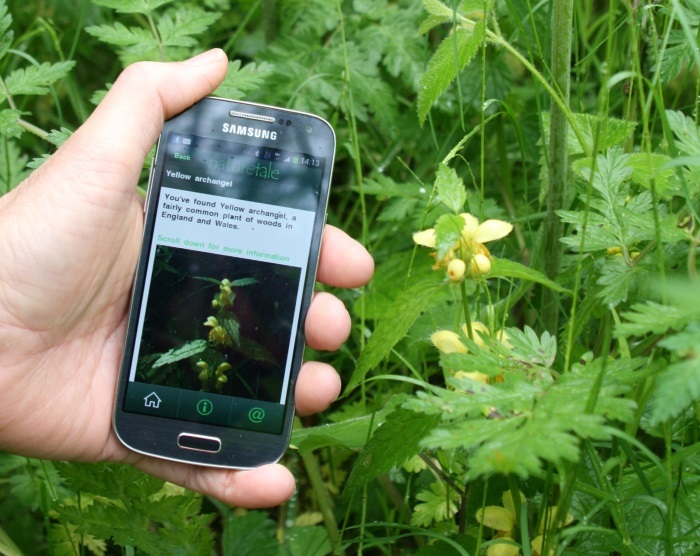 In between the torrential showers on the day of Community Orchard Open Day, Richard put the Naturetale App through its paces in Bourne Wood. 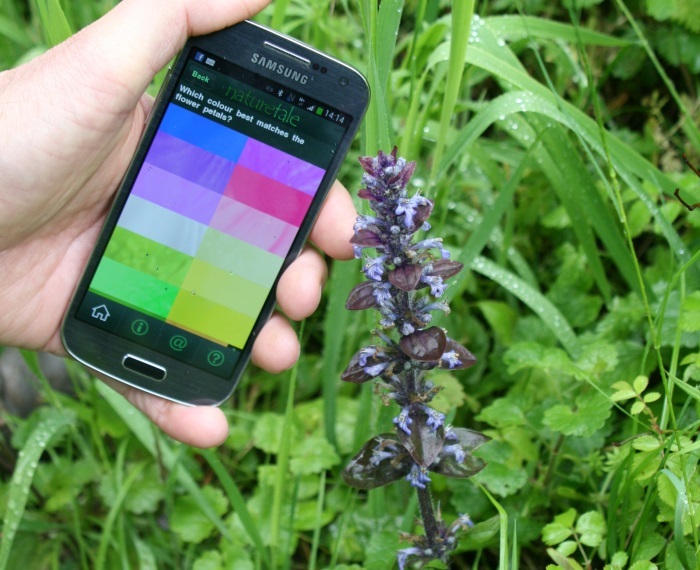 The wood is unusual in the diversity of its flower population, due to the variety of habitats it supports, so it’s a great place to use an app like this. The first wild flower we came across was Bugle – a lover of damp places. First choose the colour of the wild flower. And right next door we found some Comfrey. Choose shape of wild flower. In truth, many people would not need an identification guide to spot a Buttercup – but it does make a lovely photo! Choose the wild flower from the screen. Perhaps a bit less well known is Yellow Archangel – a good indicator of ancient woodland. Read all about the wild flower you have found.